DENVER, Jan. 14, 2019 /CNW/ - Dixie Brands Inc. ("Dixie" or "the Company") (CSE: DIXI.U), one of the cannabis industry's leading consumer packaged goods ("CPG") companies, has announced new leadership and priorities for its pet wellness company Therabis. Dixie has hired specialty pet food and CPG veteran Bob Rubin as the first President of Therabis with the objective of significantly growing the brand's retail presence and sales. "I am incredibly excited to join the Therabis team," said Mr. Rubin. "As an executive in the pet food industry, I have followed the hemp-infused category with great interest. I believe that Therabis' formulas, developed by veterinarian Dr. Steven Katz, are the best and most effective in the market today." Mr. Rubin has over 10 years of experience in the pet food industry. As CEO and President of natural and holistic pet food company Solid Gold Pet since 2015, he repositioned the brand and led the expansion of its distribution to the world's largest pet specialty retailer as well as its successful entry into the Chinese market. As Chief Financial Officer and Chief Strategy Officer of Nature's Variety, he helped quadruple annual sales to more than $100 million, driven by the repositioning of the Instinct® pet food brand. From 2006 to 2012, Mr. Rubin was a partner in two private equity firms where he developed and implemented optimization strategies for portfolio companies in the consumer sector. He previously spent 10 years in senior marketing, corporate development and general management roles at Spectrum Brands, a consumer products company known for such brands as Spectracide®, Cutter® and Nature's Miracle®. 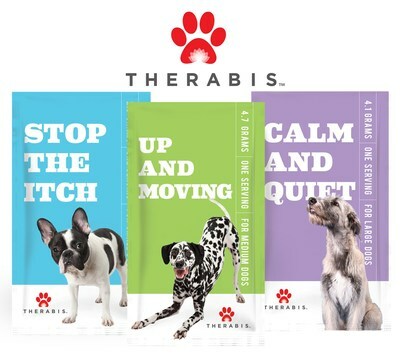 Therabis currently offers a line of canine products in the hemp-infused pet supplement category. Hemp contains naturally occurring molecules, including cannabidiol ("CBD") and other cannabinoids, which research has shown to provide health and wellness benefits to humans and animals. Dixie Brands also announced that it has purchased the 25% stake in Therabis held by one of its minority partners, "Rose Capital Fund I, LP and affiliates" ("Rose Capital"). With the purchase, Dixie Brands solidifies its ownership of this strategic business unit to an 85% share. As an original investor in Therabis in 2016, Rose Capital had achieved its investment objectives and executed a strategic exit. The remaining shareholder is Therabis co-founder Dr. Stephen M. Katz, whose proprietary formulations are backed by over a decade of research and refinement in his own veterinary practice. Dixie Brands Inc., which has been formulating award-winning THC and CBD-infused products since 2009, is expecting to double its manufacturing and distribution capabilities in 2019 in the U.S. as well as expand internationally, including Canada. Dixie leads the global industry in the development, packaging design, product innovation and quality control for the commercial production of cannabis infused products. While the Company started with a single flagship product, the Dixie Elixir (a THC-infused soda), it is now one of the industry's most recognized consumer brands, expanding to over 100 products across more than 15 different product categories representing the industry's finest edibles, tinctures, topicals and connoisseur grade extractions, as well as world-class CBD-infused wellness products and pet dietary supplements. Dixie's executive team has been instrumental in the formation of the marijuana industry for recreational and medicinal use, serving as founding members on several national regulatory and business-oriented industry organizations. To find out more about Dixie's innovative products, or about how Dixie is building the future of cannabis, visit www.dixiebrands.com. Rose Capital is a strategic advisor and investment firm focused on the global medical and adult use legal cannabis sector. It is funded by a small consortium of partners looking to access the industry through a diversified, long-term, and value-focused investment strategy. Rose Capital manages an ecosystem of best-in-class operating assets across the data & analytics, distribution & logistics, and consumer packaged goods verticals in the U.S. and global cannabis markets. For more information, visit: www.boldrosecapital.com.